The reception was excellent. Good and tasty breakfasts. The receptionist has always responded happily to our questions, advised and helped alot. 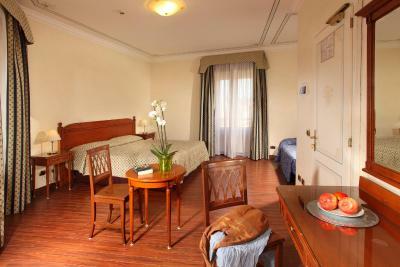 The location of the hotel is excellent close to the Vatican and the main tourist attractions . The train station is just a short walk away fromhotel easy to get into or from the airport or to the main public transport station. I like the boutiqueness of the hotel. Very charming. 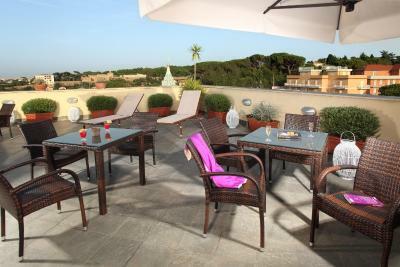 The roof top terrace was nice and the breakfast was good. 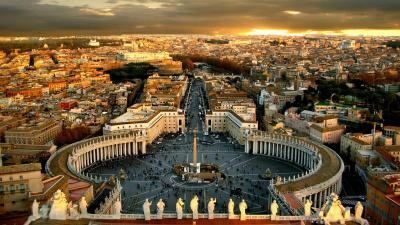 Very close to the Vatican and some good restaurants. 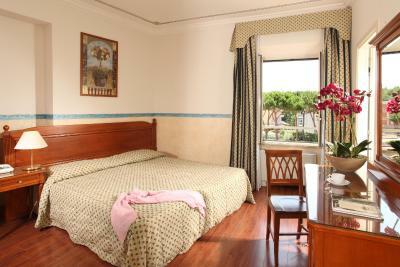 It was OK for last-minute booking, very close to the Vatican was a little different than regular hotel. Took my hubby for his 40th birthday. We were worrying slightly as the area was all high rise flats & bins everywhere but once we turned into the hotel we were relived. Hotel is lovely. 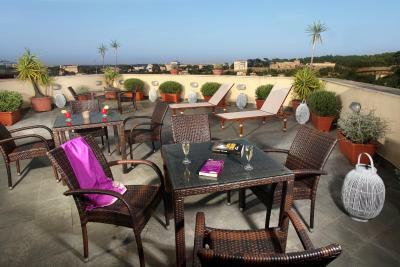 2 roof top terraces which we’re always empty. Staff helpful & room spotless. The rooms were well equipped, had a mini fridge which was a bonus. 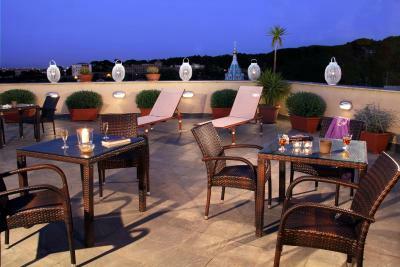 Great rooftop terrace. Possibility of late check in - great! Close to the train station. 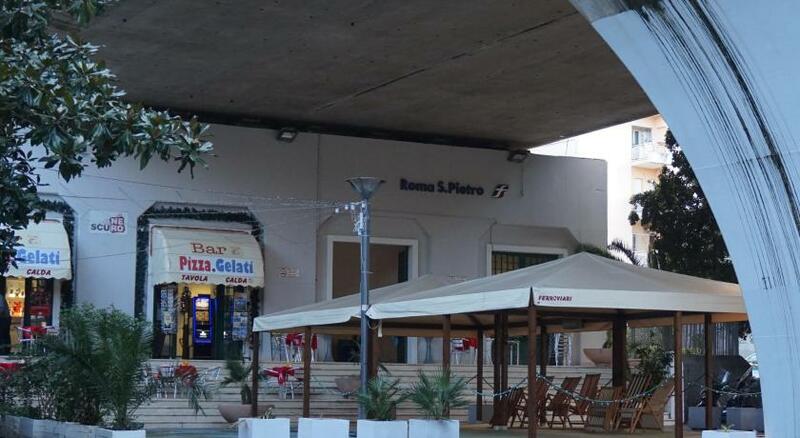 Near Vatican and city center. Good connection by busses. The hotel was a deceptiion for me. The taxis can not get to the hotel. You must walk. the single bedroom is too small. 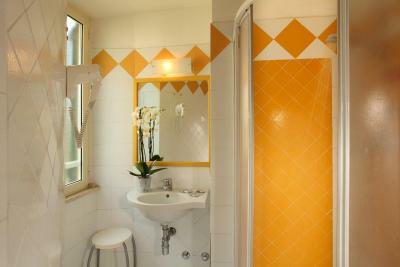 the bathroom is ok. Themanat the reception was not kind.the lady was...Therre is no butter in the breakfast!!!! the first hotel I have benn in my whole life... just margarine.. Horrible. No fruits at the breakfast. 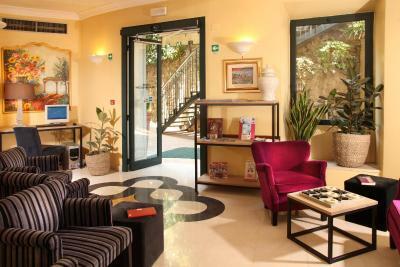 Hotel Alessandrino This rating is a reflection of how the property compares to the industry standard when it comes to price, facilities and services available. It's based on a self-evaluation by the property. Use this rating to help choose your stay! 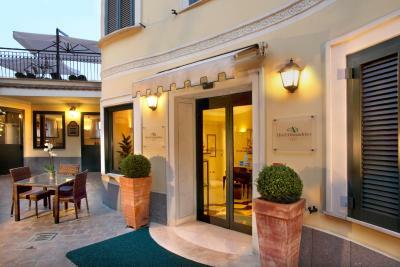 This charming hotel is in a quiet, residential location, near the Vatican and just 300 feet from San Pietro Train Station. 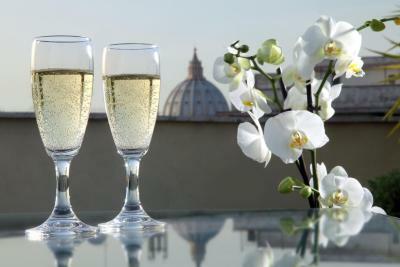 It offers a rich continental breakfast and a rooftop terrace overlooking St. Peter’s Basilica. 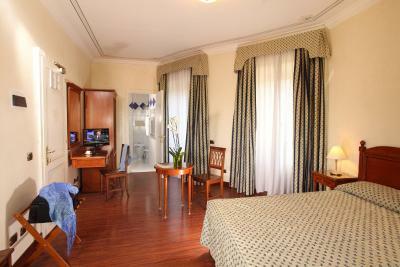 The bright and airy rooms at Hotel Alessandrino have hardwood floors, satellite TV and a work desk. The bathrooms come with free toiletries. Some rooms also have a private balcony. 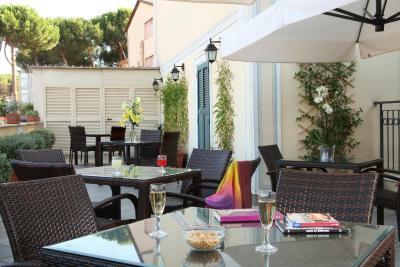 Guests of the Alessandrino can enjoy drinks and snacks on the rooftop terrace, which comes with chairs, lounge chairs and sun umbrellas. There is also a bar serving snacks and refreshing drinks. 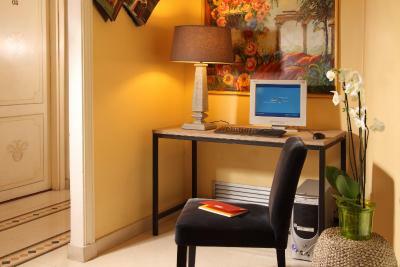 Free Wi-Fi and a 24-hour front desk are among the amenities offered at the hotel. The friendly staff can recommend restaurants and places to visit. 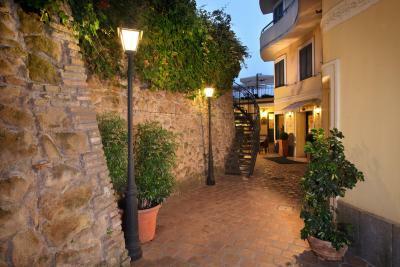 The Alessandrino is set at the top of a typical winding alley, and there is also a staircase providing direct access to the main road and bus stop. 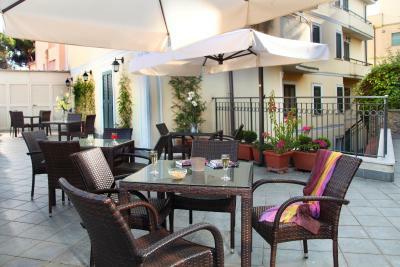 When would you like to stay at Hotel Alessandrino? This room has 2 windows and a balcony. 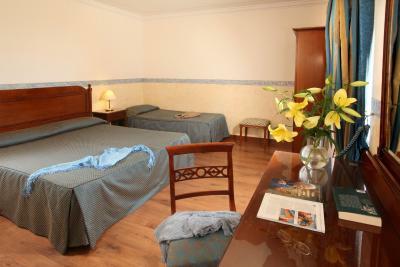 All rooms are air conditioned and come with free Wi-Fi and a bright and spacious bathroom. 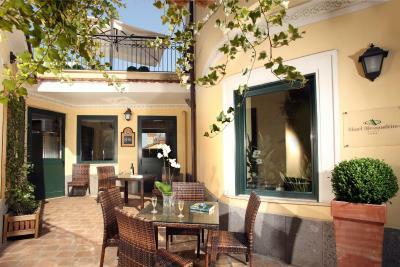 This room has 2 or 3 windows and a balcony or terrace with a table and chairs. 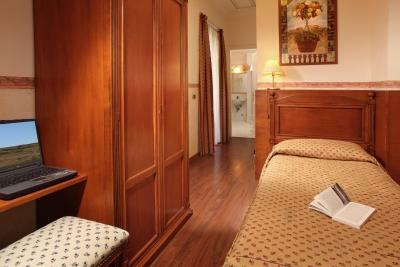 All rooms are air conditioned and come with free Wi-Fi and a bright and spacious bathroom. 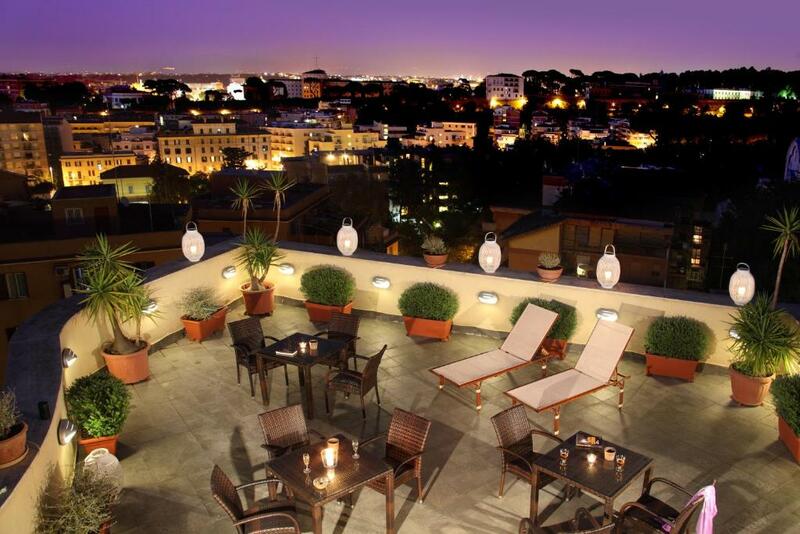 House Rules Hotel Alessandrino takes special requests – add in the next step! 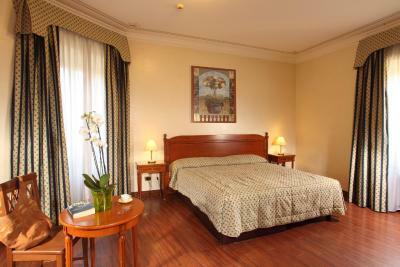 Hotel Alessandrino accepts these cards and reserves the right to temporarily hold an amount prior to arrival. Breakfast was not so good. The appartment is quite small and looks old, but for it's price it was ok. The breakfast: butteer and fruits. Someone at thereception to aid guests with lugagge. Room old. Two twin beds pushed together made a very uncomfortable sleep. Shower cubicle old and doesn't work very well. Massive hole in screen . The hills to the hotel really get to you. It's not as close to everything as I thought. Breakfast was always cold. Though, i's just a 3 star hotel, the breakfast was poor, and was the same every day. 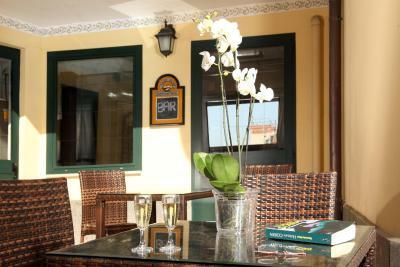 The location of the hotel is good, near to a bus and to train station. It was cheap. we did not like the shower folding/movable wall and I had to inform the concierge the plastic panes are busted. Very spacious room and bathroom was great too, with a bath tub. No parking near accommodation. Leaving car in street was very uncomfortable and worrying. Excellent location. Staff very helpful Good breakfasts. Rooftop overlooking Rome lovely for relaxing. 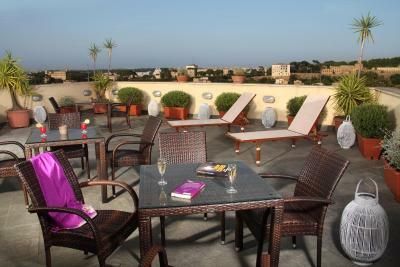 Although the hotel was quite tidy some of the neighboring properties were in quite poor condition and spoil the view. Parts of the outside area did smell of cats. Friendly staff, reasonable breakfast and comfortable surroundings.